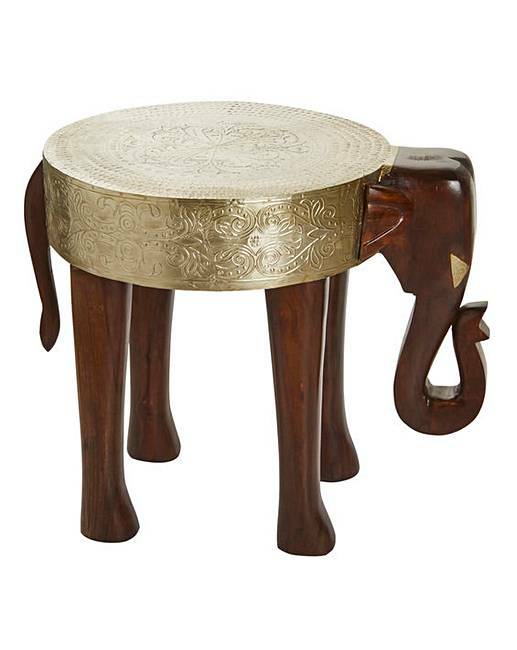 Elephant Sheesham Side Table is rated 4.8 out of 5 by 6. 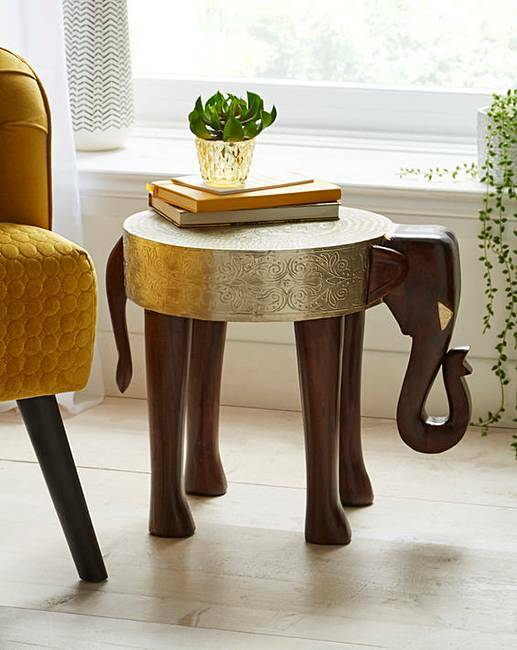 The Elephant Sheesham Side Table is a beautiful handmade side table, suitable for any living space. Skilfully crafted in sheesham wood with alloy metal, this table is a unique and stylish piece. This item is handcrafted by artisans, so each piece may vary slightly. H.46 x W.33 x D.39cm. Rated 5 out of 5 by Babs1 from Fabulous Elephant Table! I bought this table last month and i fell in love with it as soon as i opened the box! Solid wood, in a great design! At present displaying a vase of beautiful flowers! It is a useful table that can, even though quite heavy, be easily moved around! Thrilled to bits with my 'elephant table'! Rated 4 out of 5 by HelpImfallingapart from Very pleased with this stunning table I'm in press with quality and it looks very stylish. 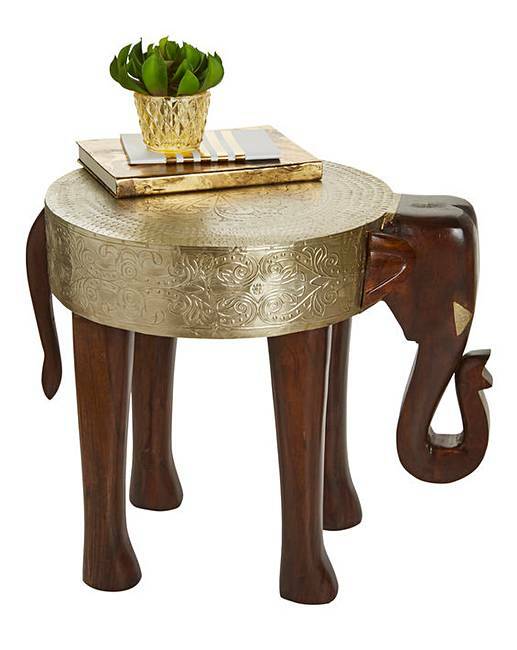 Rated 5 out of 5 by Hel from STYLISH TABLES Beautiful stylish elephant wooden side table. Picked for my new home. One each for my husband and I. Rated 5 out of 5 by Pip from Great quality! I bought this as a present for my mum, she loves it! It’s great quality and a really nice design. Would definitely recommend to all elephant lovers!